Phone interviews make applying for a job a lot less stressful – you also don’t have to be dressed, find your way to the business or company and meet and impress an interviewer. Unfortunately it is this slight *lack of stress* that has some job seekers taking the actual interview a lot less seriously! This can be quite dangerous when you are looking for hourly work as it’s that phone interview that is often going to land you that in-person interview later on. At all times you must be professional – so even over the phone present yourself as polished and considerate. Greet the interviewer by name and introduce yourself using your first and last names. 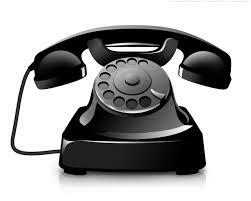 Just before you are due to make or receive the call switch off call waiting and if speaking on a landline switch off your mobile. Set yourself up in a quiet, distraction free area and have the job listing and your resume in front of you and be sure to smile so you sound more confident. At the end of the call thank the interviewer for their time and if they haven’t already mentioned calling you in for a face to face interview, politely ask what the next step might be. As always just be yourself trying not to be too formal as you will come across sounding false and arrogant and it could set up a barrier between you and the interviewer. You want to meet the interviewer on common ground and try not to be overly enthusiastic if you’re not naturally like that as you could end up sounding insincere. If the interviewer is calling on a few candidates in the day he or she will most likely remember the conversation that flowed and that was friendly. Prepare your answers – just as you would for an in-person interview research the company, its direction, or challenges. You can always ask a friend or family member to run through a practice interview with you. This can help give you much needed practice talking about yourself and will allow you to identify any weaknesses, being evasive, rambling etc. Make a list of any *talking points* that will match up with the requirements for the job, and keep it handy during your interview, but refrain from using it like a script. Try not to over-do it, during an in person interview it’s the non-verbal prompts that make it easier to carry on a flowing conversation – meaning you can tell when the interviewer is listening and wants you to talk, and when he or she doesn’t. Over the phone it is a lot harder to gauge this and you might feel you have to ramble just to fill the silence. Don’t talk just to avoid any silence; the interviewer might simply be taking notes. Follow what the interviewer is saying and read their tone, if they seem open and relaxed you can use the time to ask more questions, but, if they seem abrupt keep your answers short and to the point. Make sure you are listening to what is being said and asked and asking a question to something the interviewer has just mentioned shows that you can talk and think on your feet. While the interviewer will establish the structure and the tone of the interview it’s up to you to tell your story, while making sure your answers don’t stray far from your skills and how they meet the employer’s needs. How do you handle phone interviews? Do you find them more stressful or less stressful than face to face interviews?